Whether they're allies or foes, tiny or towering beasts, robotic, undead or living, the kings of reptiles will always represent brutal power in any game. When they make their appearance, you can be certain that devastation, destruction, and, well, probably the end of the game, will follow. 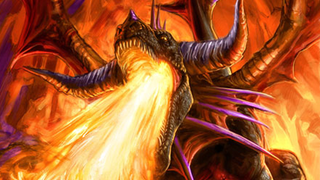 We have collected below some of the most badass dragons video games can offer. Up top is Onyxia from World of Warcraft, via the WoWwiki. What did we miss? Add images of your favorites below.